Most cultural institutions around the world are controlled or owned by governments. In political terms, the State oversees and controls culture, sometimes intimately, most often at a distance. There are ministries, departments, specifically tasked with the management of culture, at all levels of society. The State allocates funds to thousands of projects, large and small, as long as it thinks that it can afford them. But it also abuses its discretion to decree what works of art remain within its territory or what works should be incorporated into its collections, forever. In 2011, Culture Minister Ed Vaizey prevented a portrait signed Edouard Manet from leaving Brish territory. In 2012, a Picasso painting, "Child with a Dove," was banned from leaving the British Isles because the government wants it to remain within its borders. In 2013, the British ministry of culture bans Jane Austen’s ring from leaving the UK, to Kelly Clarkson’s dismay who had bought it fair and square. She had to give it up. In February 2016, that would be this month, the United Kingdom prevented a Giacometti sculpture from leaving British territory. With no Government rule book that spells out what would cause “misfortune” to the British nation if an object left the British Isles to adorn someone else’s living room, display wall, or mantle, it is frankly hypocritical on the part of British officials and especially its bureaucrats who are responsible for defining what constitutes a “misfortune” for remaining deliberately vague until they decide to strike. Ask Kelly Clarkson how she felt. I won’t name any names here, it’s better that way. But rest assured that the following four scenarios are based on real and actual events. Except for scenario #4, each located object led to a tedious, painfully lengthy recovery process which left everyone mentally, physically, and financially drained. Before research can even start, the object has to be located. Simple logic. There are many ways to trip over an object that once was part of your family but was lost to traumatic events beyond anyone’s control. The object was stolen, misappropriated, confiscated. No matter what the method of removal and loss, the end result was and is the same: illegal transfer of title resulting in theft. More than a half century later, the memories fade, and knowledge among victims’ families of what was lost becomes ever fainter, except for a hard-core of individuals who, by dint of circumstance, fortune, and disposition, have nurtured their past memories of a forlorn period and pursued relentlessly over the decades the location of their treasured items, not to be confused with “treasures” as construed by art historians and museum curators. What to do? The family furniture was lost to machinations involving unscrupulous family members in league with Vichy collaborators who donated the misappropriated property to the museum where the aunt, the mother, and the son/nephew stumbled into one fine afternoon. This occurrence is not common but neither is it rare. Scenario #2: you are perusing a catalogue of impressionist works on display in an important American museum. You and your brother grew up with family stories of wealth, stature, culture, art, enjoyed by your relatives who perished in the Holocaust. Surviving family members kept documents, recounted to postwar Allied officials what had transpired and how their relatives had been harassed, forced to sell their belongings, and tricked into making a deal with the Nazis which cost them their lives. Decades have gone by. A new generation has reached adulthood, whose interest in the family history has never slackened, especially regarding their missing art objects. One of the brothers finds a photograph of one of their missing objects reproduced in a catalogue with the name of the current possessor and his location typed in the caption beneath the painting. Scenario #3: You are invited to dinner with your better half at the home of someone with whom you have conducted business on an infrequent basis, but you are acquainted sufficiently well that you will call on one another if you happen to be in the other’s city. In this case, the claimant visited such a person, whom he knew was an art collector living in a neighboring country. As he and his wife settled down in the collector’s living room, they noticed that the walls were richly decorated with Impressionist works. Lo and behold! Two of their missing paintings, not one but two, were right there in plain sight. They had been searching for them for years. What does one do in this case? First, you rub your eyes, take another glass of whatever the other is having, and look again. The paintings are indeed the same. The last time that you saw them, they were being crated and shipped to a bank vault out of harm’s way in the south of France, in the hope that they could be recovered when the dust of invasion and occupation gave way to the cleansing of liberation. The enemy had forced the bank managers to open their safes and removed their contents. And here were parts of what had been lost. How the paintings made it across the border into this man’s apartment was a mystery. Worst of all was how to get the paintings back. In Scenario #1, a State museum holds the claimed furniture as its “inalienable” property. In Scenario #2, a case was filed against the billionaire who possessed the painting. The proceedings lasted for years and resulted in a settlement. In Scenario #3, by the time the claimant had decided to seek restitution in the country where he had seen the two paintings that belonged to his family, they were no longer in the possession of the art collector in whose living room they had been hanging. It took another half century to recover one of the two paintings, the other one is still missing. In all three aforementioned scenarios, a significant amount of historical and archival research had to be performed involving family members, their attorneys, researchers hired by the family and their attorneys. Documents supporting their claims had to be extracted from archives both in the United States and in various European countries, just to prove dispossession and the illicit path borrowed by these misappropriated works. in Scenarios #1, #2, and #3, the institutions and individuals holding the stolen works had never done any research and had performed no due diligence on those objects, preferring to adopt a “the less we know, the better it is” attitude towards the act of possession of an art object. You should ask yourselves, you the reader, whether history could have taken a different turn had the current possessors of the stolen property had bothered to conduct some degree of research into the history of the works that they acquired and then spent fortunes trying to keep in their possession. Disclaimer: if anyone reading this short piece recognizes their story and the facts are wrong, I take full responsibility for any errors or misinterpretations. I did my best to communicate the gist of the experience of discovery. 1/ the United States and Germany have been joined at the hip since at least World War I. Lawyers, scholars, businessmen, entertainers, artists, art historians, museum directors, curators, government officials, religious figures, bankers, diplomats—their mutually beneficial ties and exchanges have run deep before, during and after the Third Reich (1933-1945). That might explain why J. Edgar Hoover, legendary former director of the FBI, was paranoid (he was about everything, actually) that a fifth column of spies, agitators, and subversives could easily form on American soil without being bullied into serving the Reich. (Note: this line of thinking applied just as well to the perceived "communist threat") In his view, there were more than enough volunteers who would either remain neutral or engage in activities that would support National Socialist policies. In a state of war, that was potentially treasonous behavior. Henry Morgenthau, Franklin Roosevelt’s Secretary of the Treasury, thought alike. Well aware of the interlocking interests that bound American and German businesses, Morgenthau was convinced that the American private sector would have to be held on a tight leash to prevent it from aiding Nazi Germany and from profiting from its discriminatory policies. 2/ American banks and companies have invested heavily in Germany. At Hitler’s rise to power, there were well over 300 American companies active on German soil. By the time the United States entered WWII in December 1941, that number may have dropped somewhat but not by much, many businessmen preferring to “wait it out” and hope for the best. That display of business pragmatism towards National Socialism allowed those companies to continue producing for the Reich either as wholly owned subsidiaries of the American parent or as companies with a majority German interest on their boards. Since the German government forbade profits from being repatriated to the US—the enemy--, those profits were set aside or, in some cases, cleverly concealed and transferred with the connivance of German officials to holding companies established in “neutral” countries where the American company held an interest. After WWII, these same American businesses sent their representatives into the various Allied zones of occupation to inspect their subsidiaries and tally up accounts receivables. Business as usual. 3/ No one knows exactly how many American citizens remained in Europe after 1933 and especially after September 1939. The State Department, through its consular offices, received thousands of requests for exit visas, most of which were not honored for quota reasons. What happened to what we believe were thousands of Americans from all walks of life stuck in every country that fell to the Nazis and their Fascist allies? Special camps and detention facilities were established for Allied enemy nationals—British and American—in France (Vittel is the most well-known) while the concentration camp of Gross-Rosen had a sub-camp where American actors, singers, and musicians were deported to, most of whom were African-American. If you look closely enough, you will find the names of American citizens typed on deportation lists from Western Europe, Italy, Austria, and Eastern European nations. 4/ for those American citizens who remained relatively free of movement throughout the years of Nazi rule, we know very little about their activities. However, we do get hints of what they were up to, like in France, where some frequented the Paris auction house of Drouot and acquired art objects which were later donated to American museums. American banks like Morgan and Chase invested in joint ventures involving the French real estate market under Vichy as it was being aryanized. 5/ In the postwar years, the discourse on Americans and the Holocaust has been a truncated, highly sanitized story. American soldiers and officers, traumatized, returning from the front, have testified about the horrors they witnessed, or rather, their aftermath as their units liberated one camp after another. 6/ After 1945, US government officials might have been upset about the role that American businesses played during WWII, but it was essential, especially in light of the incipient Cold War, to keep the nation on an even keel and not penalize opportunistic businessmen too harshly, or at all, for their dalliances with Nazis and Fascists. That might explain why no American CEO or company was brought to justice in the postwar years for acts of collaboration and abetting plunder. Those whose behavior was most conspicuous received private reprimands, but no more (Chase Bank and Morgan, for instance.). In liberated countries of Western Europe, American subsidiaries might have incurred fines for “wartime illicit profits.” Coincidentally, no sooner than WWII had ended that American intelligence priorities (equal to those of the British and the French) focused in part at using the private sector as a Trojan horse of sorts against real and perceived threats, making businessmen and entrepreneurs, partners in intelligence collection. 7/ And what of non-Jewish American survivors of internment in Nazi concentration camps, prisons and makeshift "confinement centers" set up in Axis-occupied territories? It would be fascinating and very moving to hear the stories of the many jazz and blues musicians who endured and survived the nightmare of Nazi concentration camps. 8/ By the end of 1946, the US had lifted all of its wartime restrictions on trade with Europe and the Far East. By the early 1950s, the Allies had settled financial scores with the neutral countries for having profited from trade with the Axis powers, especially as pertains to the recycling of gold looted by the Third Reich. And then, business resumed. Clothing stores are lined up side by side, seeking our attention, with their fabrics, hues and colors. Restaurants beckon to satisfy our taste buds with their offerings, presumably reflecting cultural preferences from around the world. That is the commercial and social world in which we live. The same should hold true for commercial databases collecting information about art stolen decades ago or yesterday. Their field of advertising lies in the virtual world far from our prying eyes. If you seek that kind of service, you must search for it in cyberspace. Your search brings up at least two proprietary (private, for-profit) art databases and a small clutch of freely accessible sites that cover specific geographic areas. 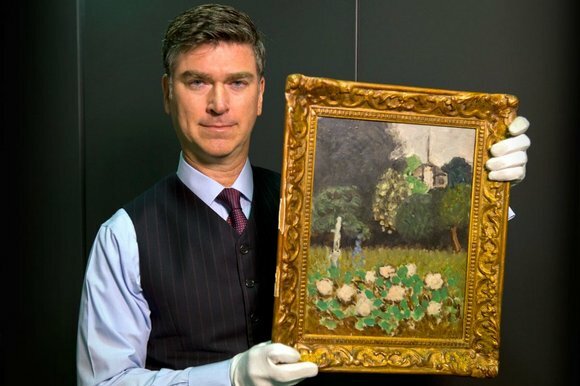 The universe of proprietary stolen art databases, strangely enough, emanates from London, UK—the Art Loss Register (ALR) whose CEO is Julian Ratcliffe, and Art Claim, which is part of the Art Recovery Group, launched last year, headed by Christopher Marinello, former executive at ALR. Although ruthless in its manifold expressions, competition can be “healthy." Right now, having two proprietary, for-profit, stolen art databases is better than leaving the market of commercial stolen art due diligence to a single outfit. Comparative shopping, which consumers prefer and are accustomed to, is an integral part of due diligence, checking multiple sources as long as your budget allows it. Still, searches for objects through ALR and Art Claim can be costly and therefore are largely confined to businesses involved directly or indirectly with art and cultural institutions than individuals engaging in personal or academic research. In order to thrive, both companies have a duty to offer what’s best for the art world and for those who have been victimized by art thefts, whether motivated by anti-Semitism, civil unrest, or plain greed and criminal self-interest. It is in the best interest of the consumer to encourage a multi-source approach to due diligence. The more resources are available, the theory goes, the more likely a consumer of art and culture can exercise her due diligence in ascertaining that an object carries with it no taint, no trace of illicit activity that could jeopardize its ownership or display. Disclaimer: This deconstructive undertaking is not meant to judge a person’s good will, intentions, or motives, nor a person’s qualifications, merits, and contributions. Its purpose is to show how words can be interpreted, read, and critiqued. Any resemblance to persons, living or dead, is pure coincidence. The exercise consists in an imaginary dialogue between a provenance research specialist --MJ—and an attorney with a long list of clients in the art and antiquities world--AB. AB: Thanks for inviting me. Nice to see you again. What are we talking about? MJ: The buying and selling of art and antiquities, due diligence issues, provenance research. AB: OK, where shall we start? MJ: First of all, I’d like to say that, in general, research—provenance research as it were—into the ownership history of an object coming up for sale or to be exhibited, or traded on the international art market, is a necessity. Every object has a history of ownership, the starting point of which should be its maker or creator. AB: That might be tough with antiquities, due to the immense passage of time, the circumstances under which the object was found, its physical condition, and the context of its location. Wouldn’t you agree? MJ: Sure, I get that. The research will quickly lead to legal issues about title. You, as a lawyer, should know that. MJ: Prudent? What does prudence actually mean? How is prudence exercised? Is prudence a code word for “due diligence”? If so, why couldn’t you just talk about “due diligence”? AB: We can discuss that later. In my professional experience, objects that have a plausible history of ownership and origin can be purchased without too many questions. MJ: Let’s take a step back here. Have you been following the recent Knoedler forgery trial? MJ: Well, it’s a cautionary tale. The sale of a painting by Mark Rothko which was not a Rothko, as you know, contributed to the fatal demise of an otherwise eminent art establishment, Knoedler’s. Multiple warning flags were raised by appraisers, art historians, dealers. They went unheeded. Knoedler and its president dismissed them for reasons that must be more complex than simple greed. Nevertheless, the gallery invested in a plausible history constructed around the pseudo-Rothko painting designed to cover up a very murky provenance that could not withstand scrutiny. AB: Do I have to listen to this? You know the expression: If it looks like a duck, acts like a duck, and quacks a duck, it might just be a duck or we can pass it off as a duck. Similarly if a painting looks like a Rothko, “radiates” like a Rothko, and is described as a Rothko, then it might just be a Rothko and we can sell it as a Rothko. Sure… the word “plausible” sends shivers down my spine and reminds me of the Nixon years when “plausible deniability” became the preferred line of defense of those who engineered the Watergate scandal. AB: Hey, I am a Republican. MJ: I’m not. So there…and your candidate ended up resigning in shame. MJ: Let me ask you: if the history of ownership of an object is “plausible,” should you buy the object even if all you have in the provenance is “John Smith, 1969” and the object itself is older than Methuselah? If there’s only one name in the provenance, what makes it plausible? The reputation of a person involved in the transaction? Would you accept as “plausible” a one-name provenance as long as an established international art historical authority, a senior curator in a distinguished museum, a person with a wall covered with PhDs, awards and other marks of distinction, a highly-regarded collector/dealer vouched for it? AB: If the object is of exceptional quality, I am willing to forsake strict provenance requirements. People are human. And they should be able to acquire what they love. MJ: You know what I am talking about. it is this misguided, but very human, belief in pedigree which warps our instincts, our common sense, our logical reasoning and our critical thinking faculties. In the case of Knoedler, the unfortunate buyer-the De Soles family-- found the Knoedler story “plausible” about the Rothko’s bizarre history and went home with a fake painting. AB: I see what you mean. Maybe plausible was not a judicious choice of words. [He laughs!] Fictions are plausible, too. My clients all love good stories. After all, a fictional account is partly anchored in real life, even if it is twisted. It is simple enough to embellish or otherwise construct a provenance. Why worry about history as long as they fall in love with an object that they truly desire? And if the story about the object is appealing enough, so much the better. It adds value to the object. Everybody’s happy. What if the provenance reads: acquired on the Paris art market, 1977? What art market? Is it a person with a phone number and an address? Obviously not, impossible to verify. But it is plausible because we know that the object transited through the City of Lights. Hence, we have an unverifiable geographical marker that places the object that your client is lusting over in a fuzzy spatio-temporal relationship with a known location called Paris, France, in 1977. AB: Who cares? It’s the object that people care about. If it went through Paris, fine. MJ: Are you serious? And by the way, didn’t you say something about lack of documentation not being an obstacle to purchase? MJ: Aren’t you distressed by the fact that there are no documents or very few to justify the past travails of many objects as they passed through multiple sets of hands, crossing deserts, seas, and oceans, only to land in a safe harbor within the Western Hemisphere? AB: I never lose sleep over absence of documents. It happens all the time and there are ways of explaining those gaps. AB: That’s why they pay me. To allow them to buy objects with partially-documented histories or no histories at all. Realize that the absence of information does not imply acts of looting or an illegal export. Not every object with a lack of provenance is stolen property. MJ: I’ll grant you that much. However, a customs officer should know the difference between a forged certificate of ownership and one that is authentic. That’s a big “should.” What if a nice gentleman working in the foreign affairs ministry of a source country is only too obliging and produces the necessary forms that allow illegally extracted objects to leave his country in exchange for unspecified favors or to please an even more corrupt senior official? How many officials are trained to tease out the anomalies of documentation produced by exporters of antiquities and works or objects of art, especially when those objects circulate through one, two, maybe three intermediaries in as many countries before landing in a Western market eager to absorb the objects? Should I be suspicious just because there are only two names in a provenance for an object that is three thousand years old which came from a continent far away from where I am, produced by members of a culture that no longer exists? Methinks the answer is yes. Multi-source due diligence would attenuate and greatly reduce the risk of being snookered, taken in, by dubious documentation. AB: Multi-source due diligence. That sounds like a chant from a religious cult. 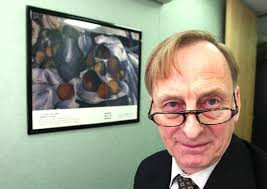 Come on, one call to the Art Loss Register or to Art Recovery Group and that’s all that is necessary. Let them do all the checks. That’s why we pay them the big bucks. MJ: Multi-source is the solution. Deep down in your gut, you know that.There’s no way around it. This is where you and I part ways. I don’t care how many sources are checked online and offline, people are called, agencies are consulted, as long as you can guarantee that an object is not stolen. Isn’t that worth something to you? Where are your ethics? AB: Don’t talk to me about ethics, ok? In the ideal world, anyone buying art or antiquities or both should request full documentation for their purchases to justify title and licit ownership. I am fully aware of that. I don’t want my clients to stand accused of being party to a theft. But it doesn’t happen that way in most cases. I get paid, in part, to clean up the messes and make sure that my clients don’t end up behind bars, paying huge fines and forfeiting their property. AB: Requests for documentation are a new thing. Even auction houses have to comply. It wasn’t that way all the time. What does that tell you? MJ: Hmm. It tells me how art and antiquities are purchased even to this day. Back to my soap box if I may. AB: Go for it. We’ve got some time left. MJ: Thanks. It has taken two world wars, the deaths of tens of millions of civilians and combatants, the plunder of dozens of nations on three continents to awaken collectors, dealers, and museums to the notion that perhaps the legal and ethical fallout of their indifference to blood-soaked provenances might not be viewed as kindly nowadays as they had been when “might made right” and “to the victors went the spoils” were the ruling mantras of the global art market and its defenders. So, yes, it is only recently that documentation and more fleshed-out provenances have become ‘de rigueur’ in the international art and antiquities trade. AB: Well, as long as I can keep my clients one step ahead of the US Attorney’s office or ICE agents. After all, more often than not, they are the unwitting victims of unscrupulous middlemen. They’re innocents. MJ: You can’t be serious. Do you still believe in that nonsense? MJ: Let me finish. One of the great myths perpetrated by the art and museum worlds has been the martyrdom of the Innocents—that would make for a nice, sweeping, classical painting entitled “The Massacre of the Innocents”—Those who acquired objects innocently, unwittingly, thinking that they had clean title to those objects, from people who lied and misrepresented their origins and histories. Unwitting? My you-know-what. AB: What is your problem? I thought we were starting to agree. MJ: My pleasure… she should be the unwitting party to a sleazy plot aimed at unloading looted, smuggled, plundered objects on the art market! Even worse, she is acquiring them from reputable art houses!! What can she do? How could she have known? Well, for one, her education and upbringing should have led her to ask questions first and plunk down her money later. The unwitting victims, the innocents, wallow in their own naïve silliness. How simple! Well, if they are innocent, who’s the guilty party? AB: What’s your point exactly? Or did I miss something? MJ: My point is simply that prudence, characterized by multi-source due diligence, an inquisitive eye, a critical mindset and an acquired immunity to pedigree, titles, and diplomas, will produce its fair share of just rewards. Can you tell your clients not to drink the koolade and not to believe everything that they are told. MJ: One more thing. My advice to your clients is: Trust your gut. If the provenance is non-existent, get a second and third opinion, the way we would if we disliked the initial diagnosis for a medical condition. No harm in it. After all, we are the consumers and we are about to spend a fair amount of money on an object that might not be what it purports to be nor come from where we were told it does. AB: I’d have to think about it. MJ: You know how it is. It’s your choice. If none of this matters to you, God be with you. AB: There you go again…[Smile] See you next time. MJ: Next time, it’s on you. Single malt all around. AB: I’m good if you are.